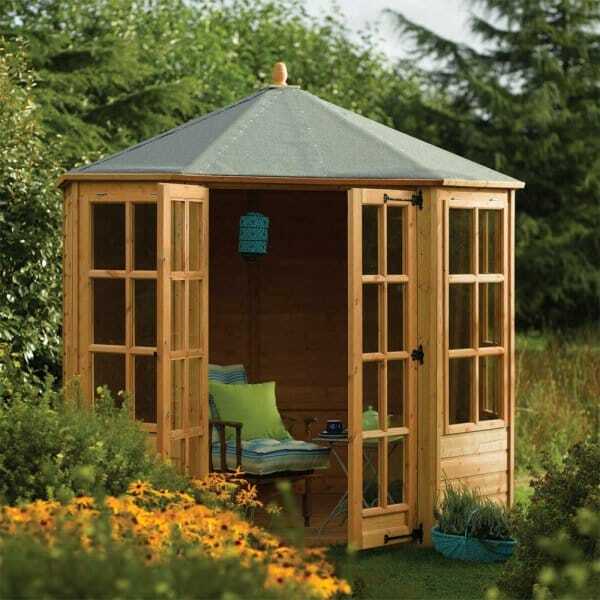 Rowlinson Ryton 8x8 Octagonal Summer House: The Rowlinson Ryton 8x8 Octagonal Summer House Is a lovely 8 sided summer house which would be an impressive feature in any garden. The unusual octagonal shape offers and attractive alternative to the tradition square, rectangular or circular garden rooms while still offering a great deal of space. One of Simply Log Cabins best sellers!